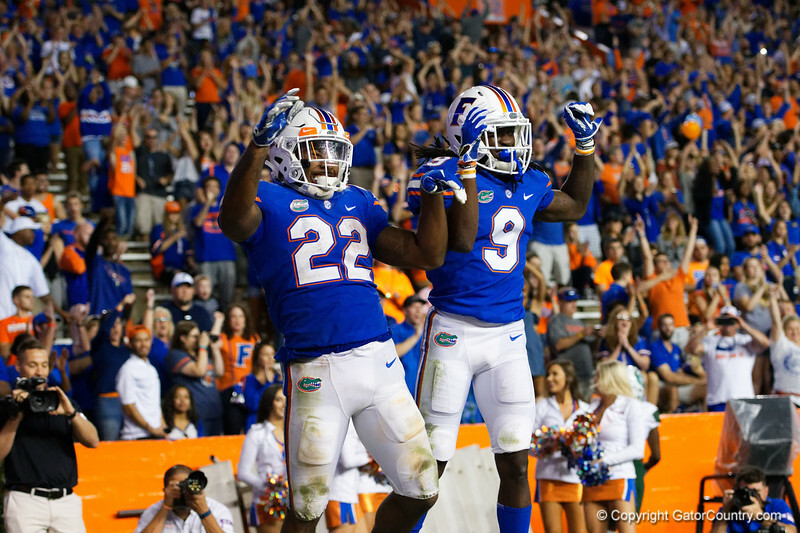 University of Florida Gators running back Lamical Perine and University of Florida Gators wide receiver Dre Massey celebrate after Perine rushed into the endzone during the second half as the Florida Gators defeat the University of Alabama-Birmingham Blazers 36-7 at Ben Hill Griffin Stadium in Gainesville, Florida. November 18th, 2017. Gator Country photo by David Bowie.